Despite our pretensions to science, modern industrial society is as myth-bound and mystical as any that has preceded it. Our prevailing cultural myth includes a dangerous vision of global sustainability and poverty reduction centered on unlimited economic expansion, “free” trade and technological fixes. This paper dissects the modern myth, exposing its conceptual flaws and practical failings. 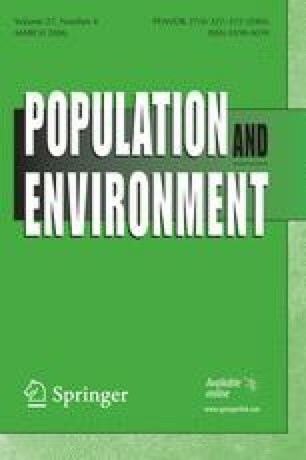 It then proposes an alternative conceptual framework for development derived from ecological economics and ecological footprint analysis. The new framework recognizes that the human enterprise is a subsystem of the ecosphere whose growth is constrained by biophysical limits. If humanity is to seize control of its destiny it must arise above wishful thinking and tribal instinct. Global society needs a new cultural myth rooted in humanity's unique claim to intelligence and self-awareness in the face of danger. Human security depends on equitable development—not growth—within the means of nature. Sustainability with social justice can be achieved only through an unprecedented level of international cooperation rooted in a sense of compassion for both other peoples and other species.